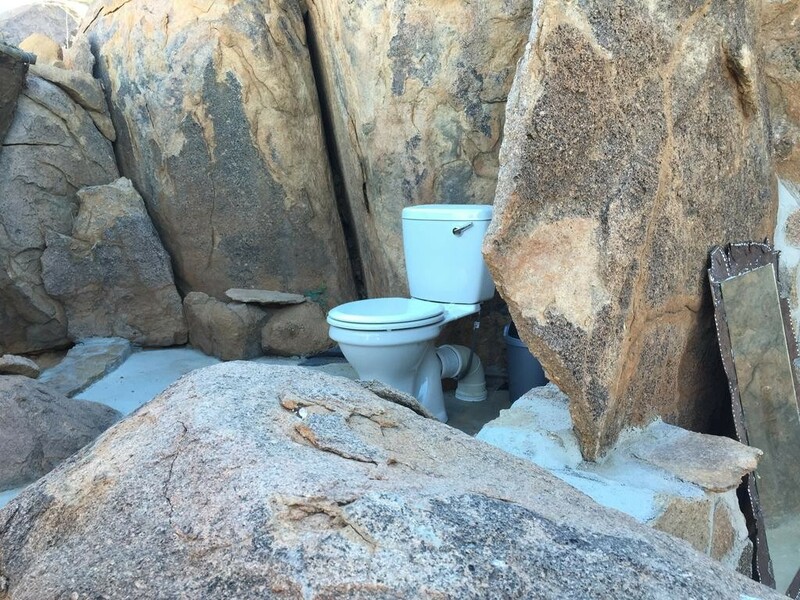 Madisa offers 9 private camp sites all with their own ablution facilities. These sites are spacious and are situated on the river bed with a low stone wall around . 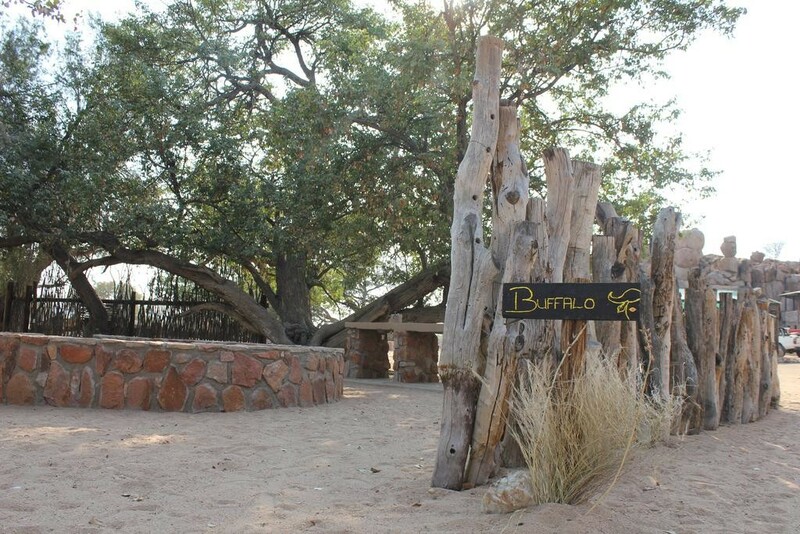 Each site has a braai area which doubles up as a donkey geyser for hot water. It’s a lovely atmosphere to kick back relax around a fire and listen to the nocturnal sounds of the bush. 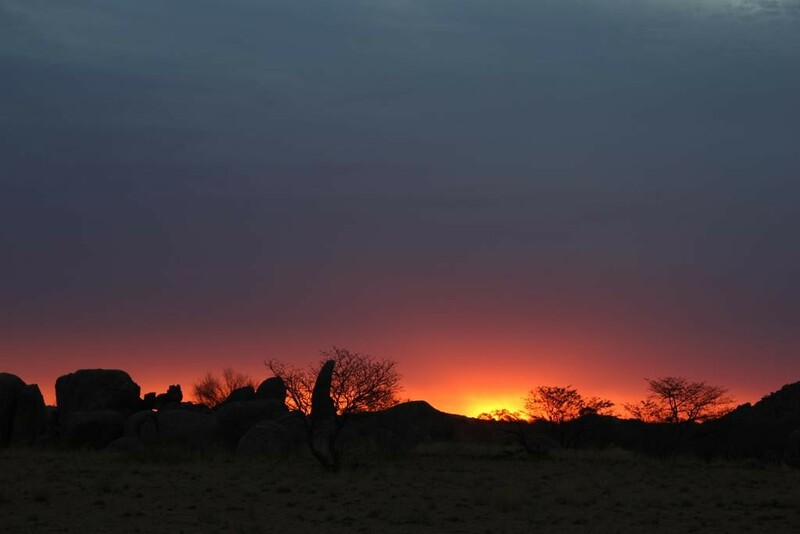 Madisa is also a fantastic place for star gazing, the nights are brilliantly clear. Each site has lights which are powered by generator (hopefully soon by Solar Power). The generator runs in the evening from sundown till 9pm. 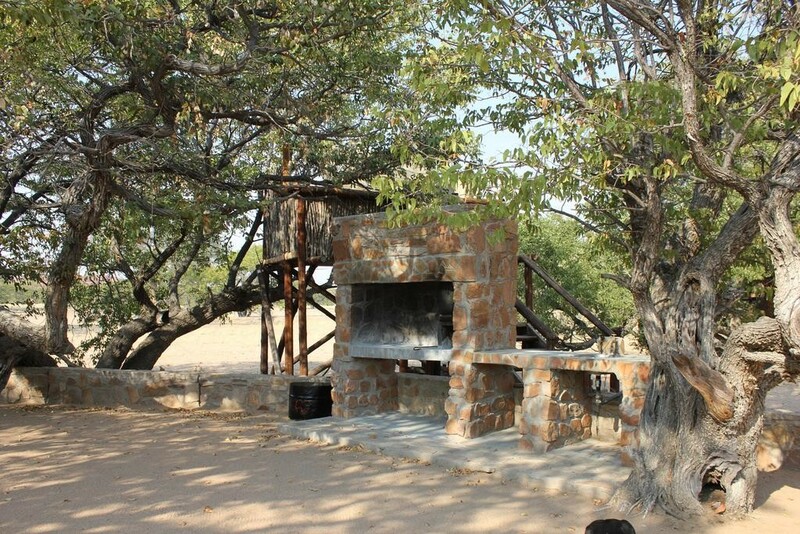 We also offer 5 overland camp sites which are large and each have a circle braai area with seating, a wash up basin and water supply. The ablution block is a communal one with nice clean showers and toilets. 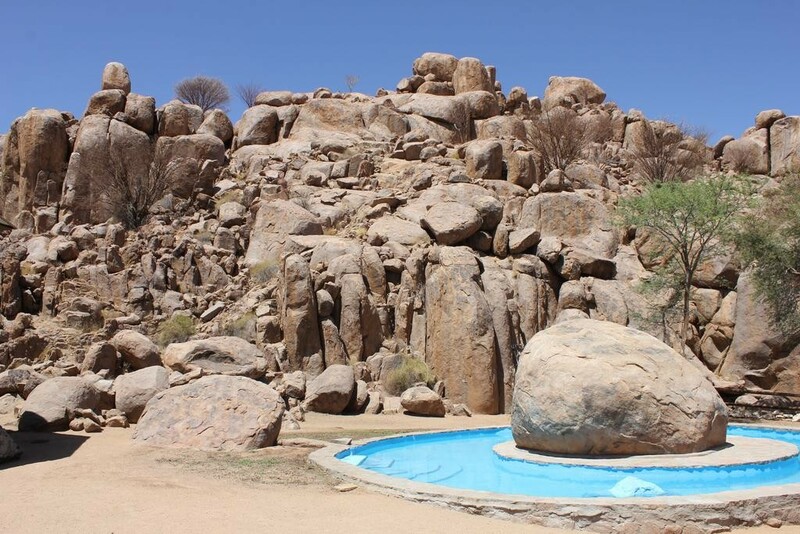 The swimming pool and bar area are tucked away at the foot of the spectacular granite koppie providing a great setting. We have also built the elephants a drinking trough which can be viewed from on top of the koppie. 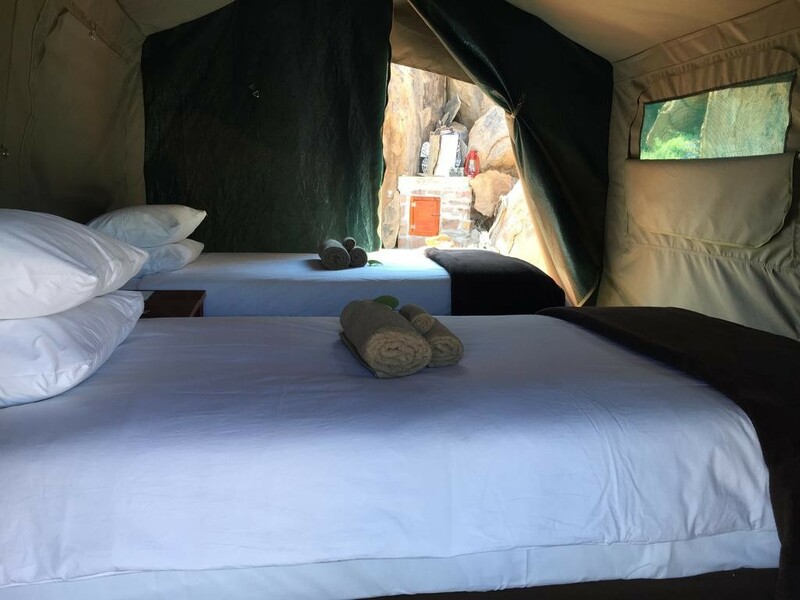 Madisa Safari Tents are self catering tents built cleverly and as eco friendly as possible around our scenic boulder formations each with their own en suite rock bathroom consisting of a basin, shower and toilet. The tents sleep a max of two people and offer twin beds or a double bed this should be confirmed in your booking. 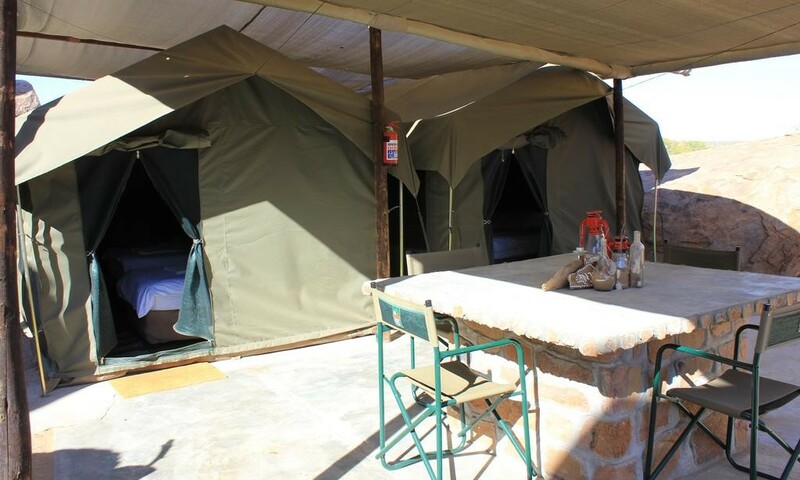 All linen is provided in these comfortable Safari Tents allowing for a good nights rest after falling asleep to the sounds of the oldest desert. There is a braai area for your use, please bring your own equipment along. Hot water is available at night (solar system) and there are paraffin/solar lighting in the tent and bathroom area. 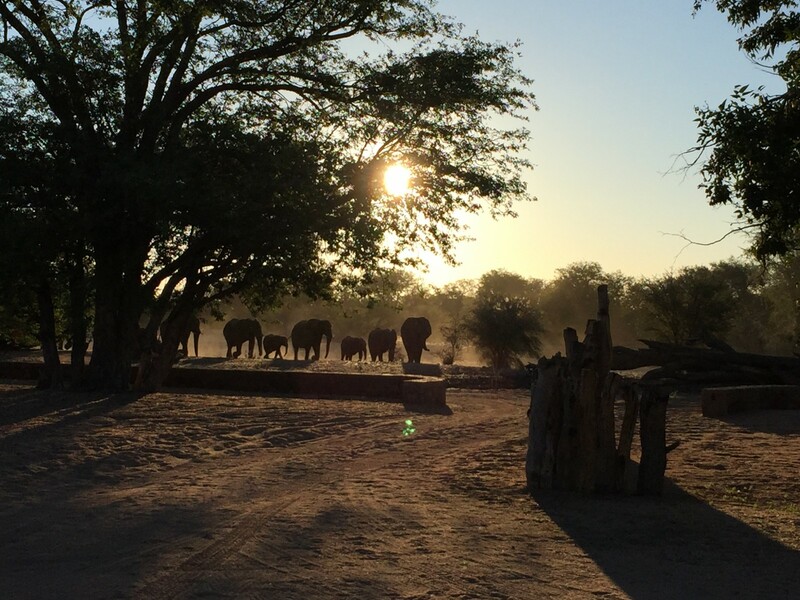 Please note Madisa is a Self Catering Camp.